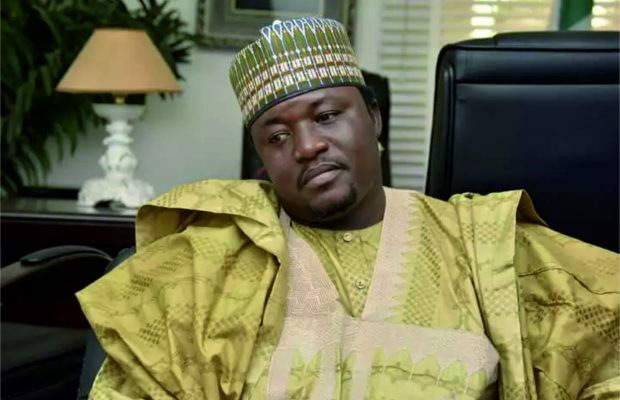 Yarima Shettima is the president of the Arewa Youths Coalition that gave Igbo living in the North a three-month quit notice. He spoke with MUHAMMAD SABIU on the recent stand of the South East governors on Biafra and the position of the Arewa youths. The South East governors have come out to say that they are for restructuring of the country and not the declaration of the State of Biafra. How did you see this development; are we expecting a shift from the coalition, particularly on the quit notice given to the Igbo living in the North? The steps taken by the governors are commendable. One, we have since expected the governors to do what they are doing now. Nevertheless, it is better late than never. One would have expected that never again would the country be held to ransom by an individual or group of people who will be terrorising the innocent people of this country and at the same time abusing the sensibilities of other sections of the country. Undermining our strength as a nation is uncalled for. The most painful thing is that this young man (Kanu Nnamdi) happens to be a member of our generation that should have been more positive in thinking, instead of being negative. To us, we felt strongly that this is a suicide to our generation. At a point, we felt if somebody is mad at the negative side, let us be mad at the positive side, so that we can balance the story. But having said that, what we saw the governors are doing is commendable; what the Ohanaeze and other organisations that came out to denounce the Indigenous People of Biafra (IPOB) are doing is commendable. Inasmuch as we appreciate the fact that it is their right to demand for self-determination, we are also saying, if you are asking for self-determination, there are certain procedures to go about it. Inasmuch as we know that Nigeria is part and parcel of that international charter by United Nations and signatory to it, the constitution has equally not made any room for self-determination. We thank God now that they are seeing these things and acting the way they are supposed to do. We are also reviewing our own situation. We are going to have a meeting soon with other leaders of the coalition and come out with a clear position of things and what we intend to do in order to move forward. But I am not saying we have completely removed the earlier condition, that they should leave the North. However, the fact of the matter still remains that one, we are not violent. Secondly, we intend also to explore all necessary avenues and ensure that, at the end of the day, things are being done in accordance with the law. But don’t you think that the position of the governors and others like the Ohanaeze will now make IPOB unpopular? Whatever we will be discussing will centre on the strength of his (Kanu) recent call and see whether it is a popular call or otherwise. So long as what we see in recent times is not a popular call, we must see that this young man, who has terrorised the country, is not left to go unpunished. We will go as far to ensure that we take him to the International Court of Justice. We will internationalise his case and ensure that this young man is declared a terrorist. He can’t be allowed to go just like that because one, he has terrorised the country. Two, as a result of his misguided statements, many had become casualties. To us, we felt strongly that he should be dealt with decisively to serve as a deterrent to other people who think they can just come with their selfish interests and mislead the people. To us, we are seeing what he was doing as a business venture. So, as far as we are concerned, a country should not be run as a banana republic where somebody can do anything and get away with it, without respect for the rule of law. This is a country we are proud of. We are proud to be Nigerians. We are willing to do everything to ensure that we protect the interest of this country. We are proudly Nigerians. So, if he choses to go, we are not stopping him, but he should go through the normal channel. However, with the current happenings now, to some of us, we felt we are comfortable. So with time, we believe IPOB, MASSOB will all belong to our past. Don’t you think the Igbo should be allowed to rule in subsequent elections? We cannot continue to run a country like that. After 50 years, we still repeat the same thing over and over. They are just asking for one thing; you said you want justice and you don’t want to be marginalised. How will you not be marginalised when you gave reasons for Nigerians to be skeptical about you? You said you were not given the Number One seat. Why should people support you with the attitude of some charlatans in your midst? Why should we entrust you with power, when you allowed a charlatan from nowhere to come and disorganise this country? Kanu clearly proved that when he was released on bail; it shows he is not normal. There were over 10 conditions he was given before he was granted bail. He defiled all the conditions and you still see him as a normal person. So, if you meet him, what are you going to tell him? We will not leave this issue to go like that. So, we are not also going to do anything that will contradict the laws of the land. We do not intend to go violent. This is because we do not intend to make people suffer because of his antecedents. We will take the fight to him; to his domain by following all constitutional means. He claims he is a British citizen also. We will tell him a British can not come to Nigeria and run our country the way he is running it. We can’t accept that. We will tell him this is our home and we have no better place than here. I believe after this discussion, we will build a country we will all call our own. We intend to have a national youth progressive movement, where we will decide the type of country we want to have. From there we will take the country to the next level so that at the end of the day, we will not have this kind of rubbish called agitations. Since the declaration, were you under pressure from prominent citizens, family and friends ? We have received several calls from so many prominent Nigerians, even outside the shores of the country. People have been calling us. They realised we were pushed to the wall and that was why we took our stand. They still plead that we should not be violent because of the innocent people. We always tell them we do not intend to unleash terror on the people. Some of us have been in the struggle for over 18 years since the late General Sani Abacha era and we were never found wanting or connected to any militant group. But we intend to explore all the constitutional means to ensure we have a honourable exit for them if they want to leave. Remember they never asked for referendum until we introduced it. The Igbo in Northern Nigeria are peace makers. They have proven to be part of us; they have proven they want to stay with us. So, we have no reason to begin to think otherwise. As for friends, we have a lot of friends across the country, especially from the Eastern part. You see, the moment you have made up your mind on something, you have to damn the consequences. This is about a nation; it is about saving the integrity of the country. To some extent, some of the friends misunderstood us even when I went to the extreme in explaining to them. In the case of our families, when there was this threat to arrest us, some of us are new in the struggle. But to some of us, our families too knew that at certain times, they could be arrests and put in detention. At the end of the day, we were able to expose Kanu that he is not a popular man after all and that he is not leading the Igbo as a whole. We were able to prove also that he is being surrounded by a few people who are ignorant about the realities of life. I think, with time, these people would realise that he is empty and all alone. When did you start this struggle? I started this struggle over 18 years ago. I was part of the National Democratic Coalition (NADECO) as a young student. I have participated in successful democratic struggles over the years. It is unfortunate that the northern part of the country just got to know me now with the current declaration.They have read about me but it is now they realise the stuff I am made of. But those who know me knew I have been in this kind of struggle for long. My association, the Arewa Youth Consultative Forum, sometimes brokered peace with some Yoruba group in the South West. Which particular crisis in the South West are you referring to? The crisis involved some Yoruba ethnic militia group and the Hausa living in the south western part of the country, around 2001, during the tenure of former President Olusegun Obasanjo. It happened right from Sagamu in Ogun State to Obalende in Lagos State. There was so much tension then, but my organisation, the Arewa Youths Consultative Forum, intervened and we brokered peace with the O’dua People’s Congress (OPC) and since then, the northerners living in the South West have been going about their day-to-day without hindrance. So, I did not just join this struggle from the blues. You claimed to be a member of NADECO, can you mention some of your colleagues in the group? Some of the prominent people I met in NADECO include Professor Wole Soyinka, Mr Femi Falana and the late Pa Anthony Enahoro, among others. These people made me. Which school did you attend and what is your philosophy of life? I attended Lagos State University (LASU) where I obtained a BSc in Public Administration. My philosophy of life is very simple and that is to defend the rights of my people. At the moment, I don’t have any political ambition. For now, I enjoy what I am doing.